the BIG DATA TOOLS for Reporting, DataBase, ETL, Data Analytics, Metadata. - What is BIG DATA, What are the Five V's, and How Do I Translate This Foreign Language? - Does every enterprise need to adopt technology based on the advancements of the DataWarehouse? - Do new Data Warehouse components provide real additional insights that can be harnessed to make transformations in the enterprise? Give me some Real-life Examples. - How Does “Machine Learning” and “Cognitive Computing” Advance the capabilities of Your BIG DATA applications and How Can the Data Scientist use these advances for Big Benefits. - How does one build the new Analytical Platforms? What About ETL Tools and BIG DATA? - What is a Data Scientist and what role should that person play in the organization's architecture? - What is the impact of Chief Data Officer (CDO)? - What are the major components of BIG DATA and How do they Fit Together? 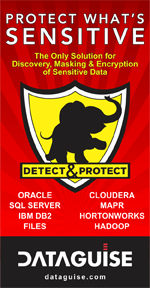 - Why so many Versions of HADOOP and why is it necessary to use Hadoop over "traditional databases"? - What are the leading vendors in the Big Data Space: Database, Reporting, Analytics, Security? - What is the role of Supercomputing (e.g. Watson), Parallel Processing, Data Streaming? - How to Implement Data Modeling, Data Governance, Metadata Management: Big Data vs. Traditional? - What is the White House BIG DATA INITIATIVE and How Will it impact my organization? Another question this seminar addresses is how organizations can effectively link unstructured, semi-structured, and classical relational data together to support information architectures that meet their business needs and goals. The Big Data Seminar 2017 provides a one-of-a-kind perspective on both the business and IT sides of big data and data warehousing. It includes live examples and real-world case studies that enable organizations to enhance their understanding of big data. Attendees can gain insight into the world of data warehousing, how advanced technologies are changing the way data warehouses are designed and built, and what the next generation of reports and analytics look like. And it identifies organizations that have already started on this path. Attendees can learn answers to these and other questions about BIG DATA as well as practical approaches and techniques on the business, technical and organizational aspects of BIG DATA. This seminar will also address the skill sets required to support BIG DATA applications and architectures. Its format is purposely interactive and attendee questions are encouraged throughout the day. Attendee experiences can also be shared as time permits. Featuring Krish Krishnan This event features Krish Krishnan, a highly knowledgeable expert on big data and the strategy, architecture, and implementation of high-performance data warehousing and database solutions. Krishnan is president and chief executive officer (CEO) at Sixth Sense Advisors, Inc.; distinguished faculty member, The Data Warehouse Institute (TDWI); and chief technology officer (CTO) at Forest Rim Technology, LLC. Krishnan is a big data evangelist, leading expert, and popular seminar leader. As a special advisor to Bill Inmon—the father of data warehousing—and instructor and author at TDWI, he is a visionary data warehouse thought leader and independent analyst. He speaks at industry conferences and user groups, and he writes for trade publications on big data, BI, data warehousing, and data warehouse appliances and architectures. In addition, Krishnan has authored three ebooks. With Bill Inmon, he co-authored Building the Unstructured Data Warehouse (Technics Publications, LLC, January 2011), upon which Inmon’s “Unstructured Data” seminar is based. Krishnan’s recent book, Data Warehousing in the Age of Big Data (Morgan Kaufmann, May 2013), offers information on how to make the most of big data within an existing data warehousing architecture. 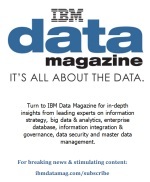 See Krish’s Big Data Blog on the IBM Data Analytics HUB .